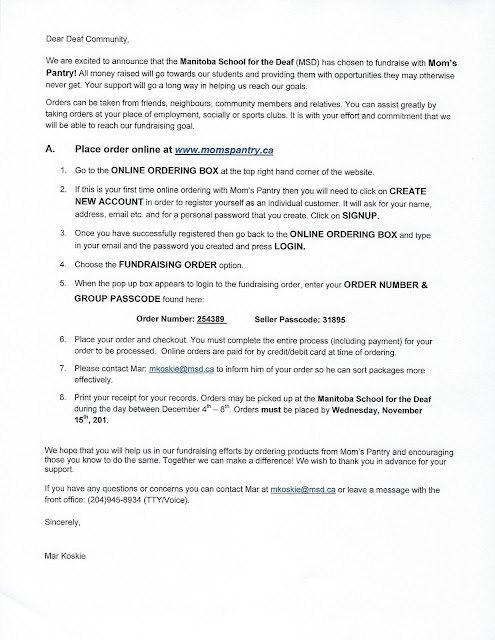 Deaf Centre Manitoba Inc.: Manitoba School for the Deaf (MSD) Fundraising - Mom's Pantry!! 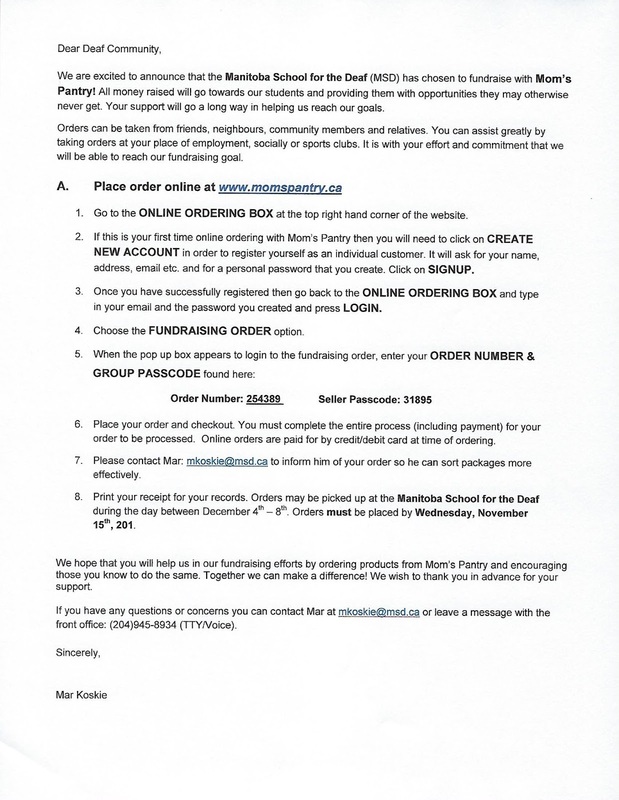 Manitoba School for the Deaf (MSD) Fundraising - Mom's Pantry!! DASCH job fair- November 17 & 18th!